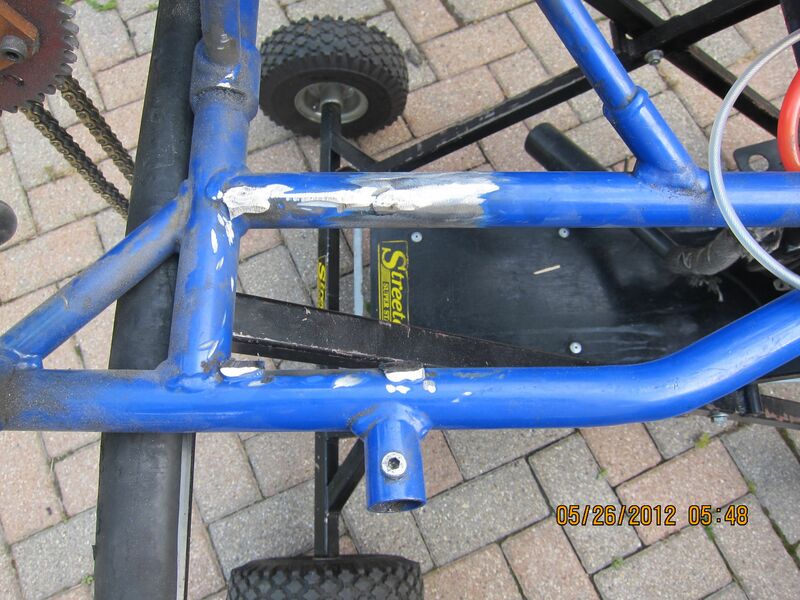 Wild Duck Racing would to like to thank Charles Hartogh at C&M Auto Service for their invaluable assistance repairing the crack in the go-kart frame from last week’s disaster. Our family has been taking our cars to C&M since 1997. They are a extremely trustworthy and reliable mechanic. I have always found that they always stand by their excellent work. That looks and works much better with the 15 deg motor mount. 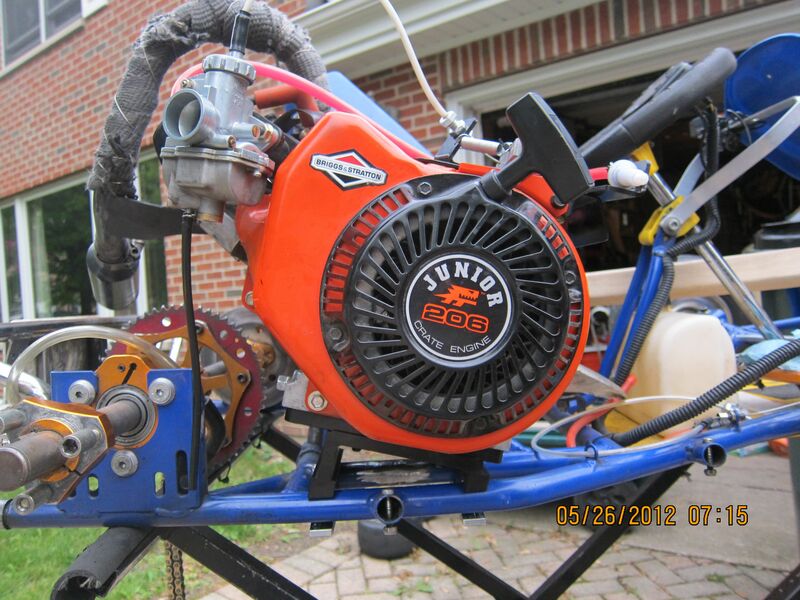 Along with C&M ,thanks Dave Faitz, Viking Karting and US Kart for other parts and advice. The kart is back together and was shaken out at Concept Haulers Motor Speedway. The track record for comer powered kid karts is just over 42 seconds. Jason’s fastest time that day was just over 43 seconds. Granted, he does have a different motor. He has changed the way he runs every corner. All of them are now fast and smooth and he runs consistent 44 second laps. There is a bit more tuning to the kart to get a a little more speed, and as always, more practice to find those next few seconds. I think he is ready for next week’s race at Briggs and Stratton Raceway Park where they have been running 24 kid karts.